Like everything in the world the Schwalm costume also gradually changes. 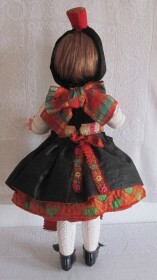 The pictures we today associate with the Schwalm costumes are colourful and extravagant. 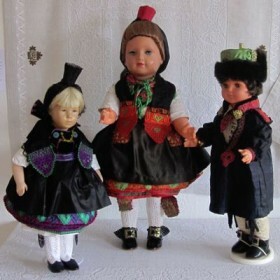 Some remember these costumes from their childhood, others from costume festivals where the Schwalm variant of the popular clothing is always an eye-catcher. Thousands of colourful postcards with idealized depictions of the Schwalm took the pictures of the costumes all over the world. Performances by folklore groups in countries far away amazed their audiences. The Schwalm festive costume – also called “proud” costume – consisted of many different elements that were worn depending on the occasion. The festive costume was clothing, jewelry and business card all in one; one could see their wealth, marital status and approximate age. The basic colours of the costumes were black and white; coloured accessories made the costumes bright and colourful. There was the “red”, the “green”, the “blue” and the “black” costume. Of course, the women´s costumes were much more distinctive than the men´s costumes, but even these had many facets. Young girls and boys wore the “red” costume up to marriage. 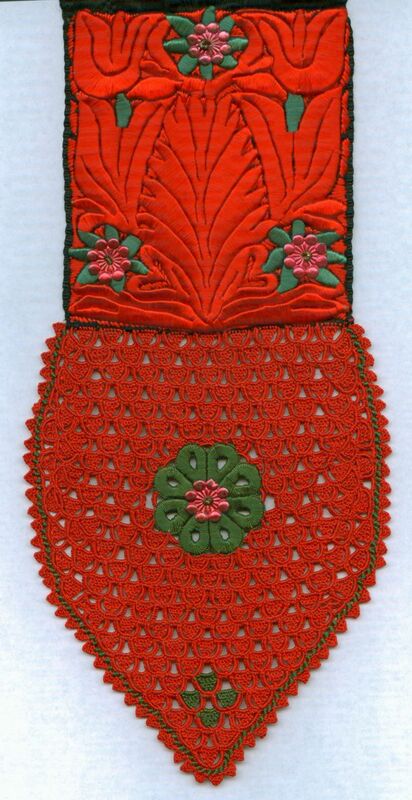 This means that all of the accessories were mostly red with a little green. With marriage they moved to the “green” costume whose accessories were mostly green, in the beginning with some red, then with a little purple as they grew older. At about 40 years the “green” was superseded by the “blue” costume, which means that the coloured parts were mainly purple, with a little green at first, later with black. From about 50 years, or in mourning, the “black” costume, which no longer had any brightly coloured components, was worn. 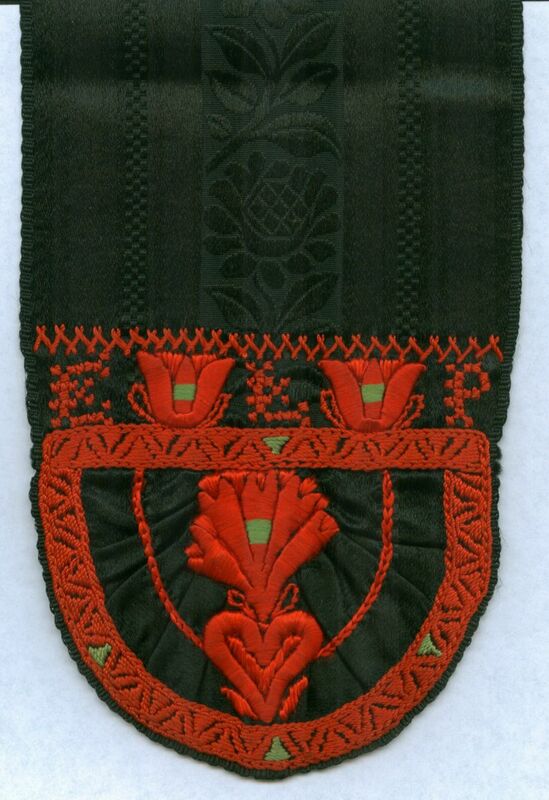 If a young woman lost her husband or a child, she had to wear mourning all her life. Up to 12 skirts – to my knowledge, the record stands at 16 – were worn one upon the other. Considering that one skirt alone weighs about 800 g, and the skirts were not the only pieces of clothing, it quickly becomes clear that wearing the festive costume was not an “easy” task. A woman’s costume was an indication of her prosperity. 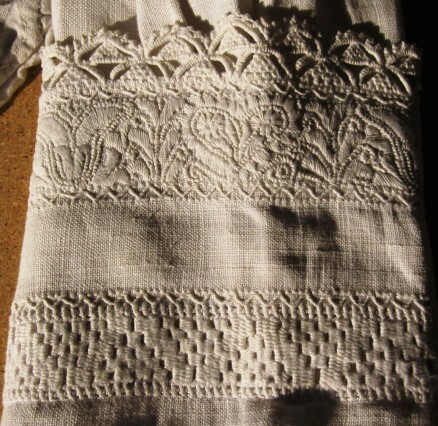 Indicating wealth were the number of skirts, the elaborateness of the colourful embroidery on cap bands, and the display of short or long needle laces, and elaborate whitework. Wealthier women could afford more of everything and that was displayed, of course. Later I will present all the items of the costumes in detail. If you want to get a visual overview now, just have a look on ebay using the search term “Schwälmer”. There you will find many postcards with a variety of Schwalm costumes. From time to time you can also find original costume parts. 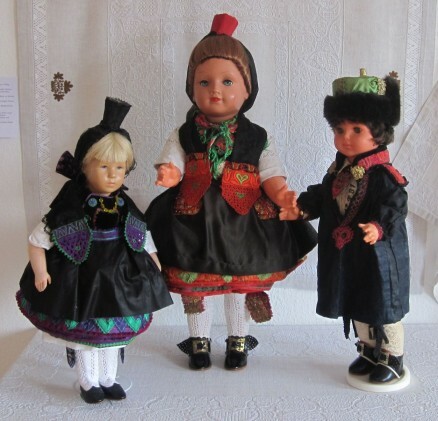 The costume tailor, Erika Decker, has 52 different Schwalm costume ensembles reproduced in facsimile and presented in a dolls format. 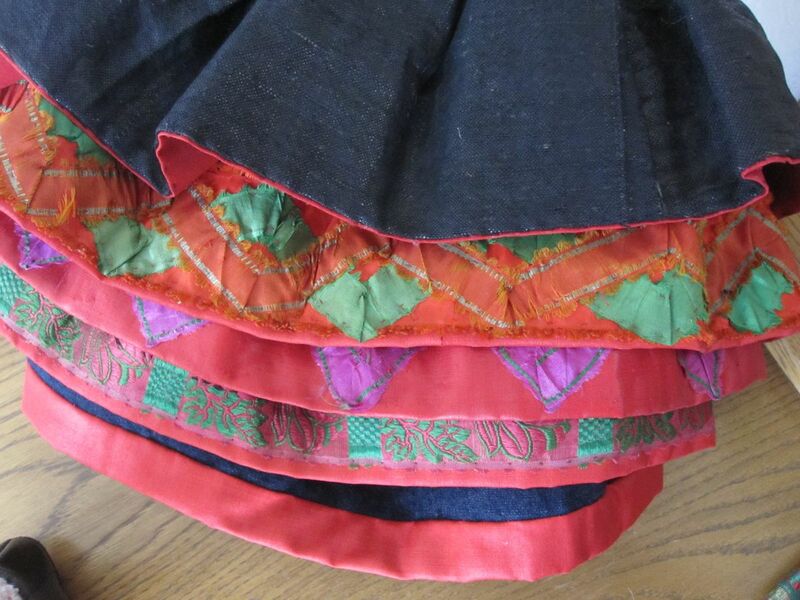 Even on a virtual tour through the museum, you can admire some beautiful original costumes. And finally, today the theme costume serves as inspiration for up-and-coming fashion designers. 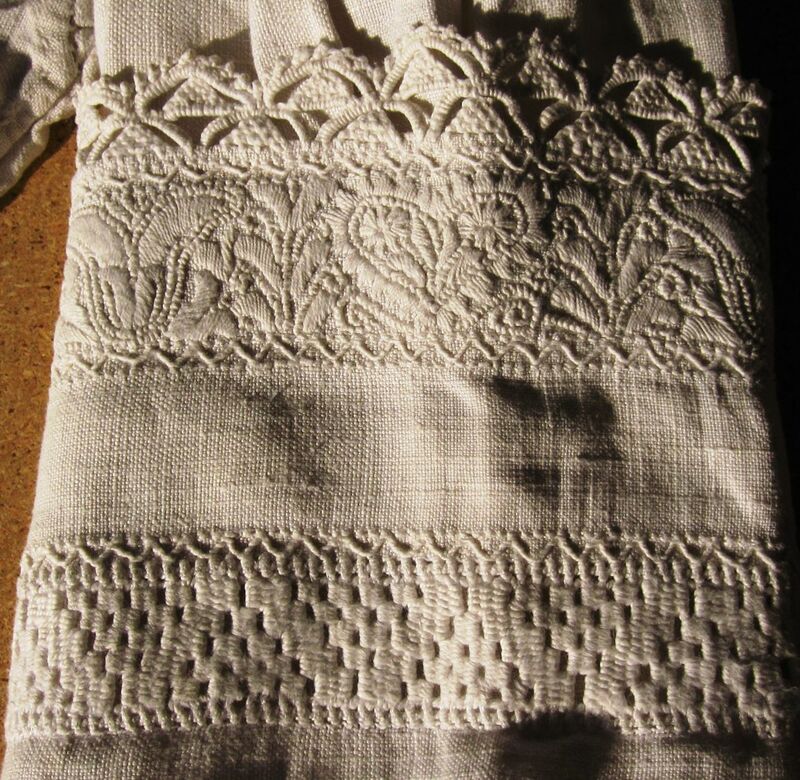 The students of Textile Technology and Fashion at the Elisabeth-Knipping-School in Kassel were assigned the task to design modern clothing using the costumes of northern Hesse, especially the Schwalm costume, as inspiration. 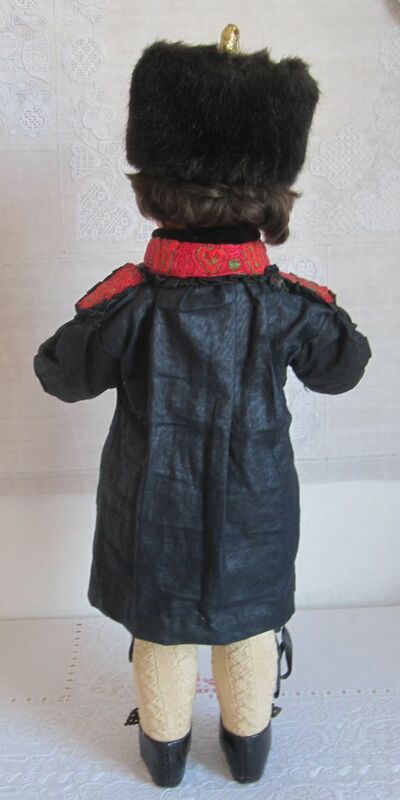 The project was named “newly viewed” (Neu beTRACHTet ), and the results were presented in a fashion show in 2012.